– At Hertford Library on 7 March 2019, Jane gave a talk on Royals, Rebels & Aristocrats, part of a series of talks by writers from the Society of Authors. – In January 2019 Jane was the lunchtime speaker for Harpenden PROBUS group. 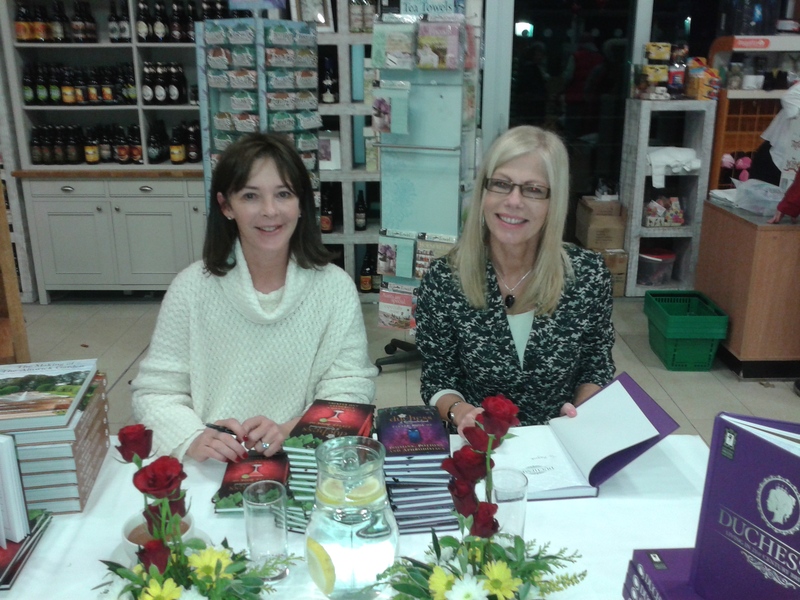 – Jane did a book signing at David’s Bookshop in Letchworth, Herts on 8th December 2018 (pictured right). 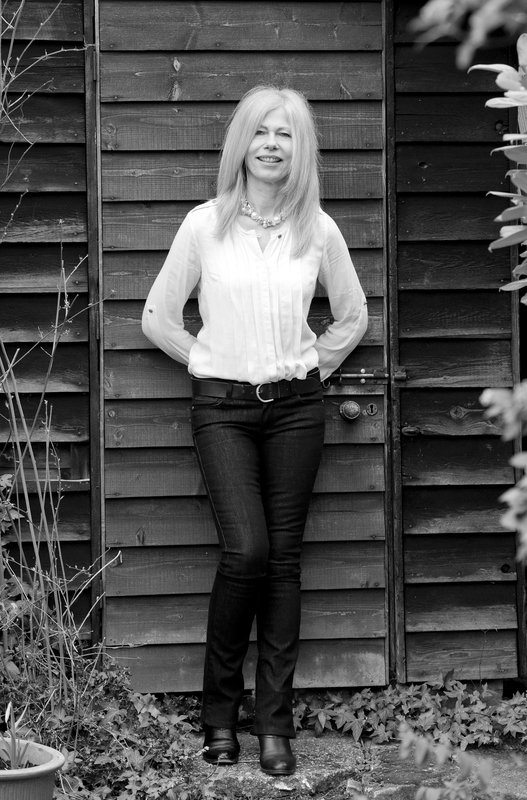 – On Sat 1st December 2018 Jane gave a talk at Croxley Green Library, Hertfordshire, the first in the Saturday Series of talks at the library by writers from the Society of Authors. – Jane was delighted to speak at the Berwick Literary Festival on 20 0ctober 2018 on Royals, Rebels & Aristocrats: The Pleasure & the Pain of Writing about Britain’s ‘Blue-Blooded’ families. – At Hitchin Library, Hertfordshire, Jane gave a talk (8 Sept 2018) called Other People’s Lives: The Thrills and Spills of Being a Biographer, part of a series of talks at the library by writers from the Society of Authors. – Jane was a speaker at the first Hitchin Literary Festival, OpenBook, on 29 July 2017, held at the British Schools Museum, which was opened by the Lord Lieutenant of Hertfordshire. Her talk was Royals, Rebels and Aristocrats: the pleasure and the pain of writing about Britain’s ‘blue- blooded’ families. – In April 2016, following an audition, Jane was accepted by the Federation of Women’s Institutes (WI) as an approved speaker. She has enjoyed fulfilling the many bookings she received for 2016-2018 to talk to different branches about her book Duchesses: Living in 21st Century Britain, and looks forward to the engagements she has for 2019. – On 10th November 2015 she was interviewed live on BBC Radio Suffolk as a sofa guest on Lesley Dolphin’s show. She was invited to talk about her life and her books, The Voice from the Garden and Duchesses: Living in 21st Century Britain. 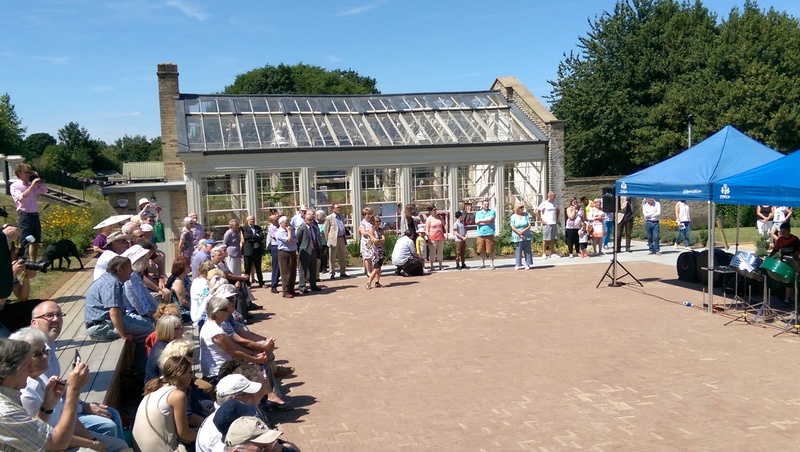 – As author of the Suffolk-based book The Voice From the Garden, Jane was invited by the Mayor of Ipswich to attend the grand reopening, after restoration, of the orangery and stable block at Holywells Park (the Cobbold brewing family’s former estate), Ipswich, which took place on 18th July 2015. 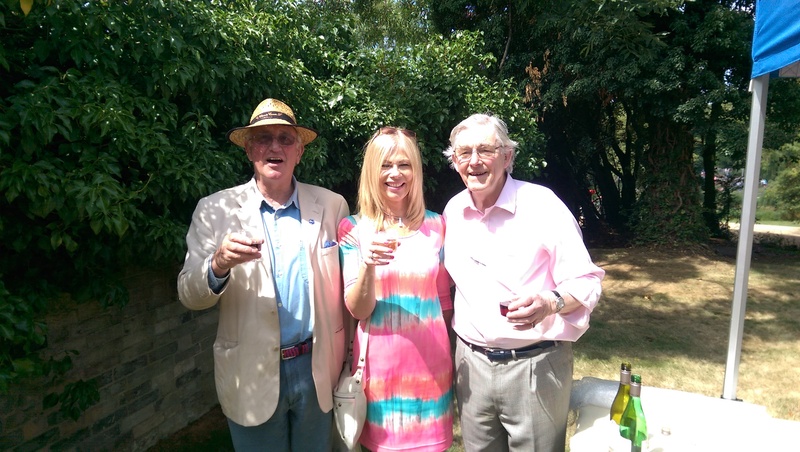 (Above) The author with Pamela Hambro’s (nee Cobbold) great nephew, Major Philip Hope-Cobbold (on left), and Anthony Cobbold of the Cobbold Family History Trust. (Below) Left: the restored orangery. 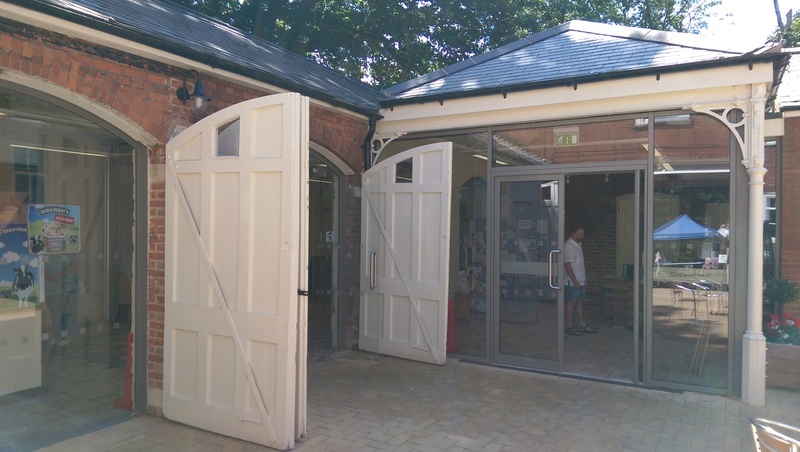 Right: the redesigned stable block. 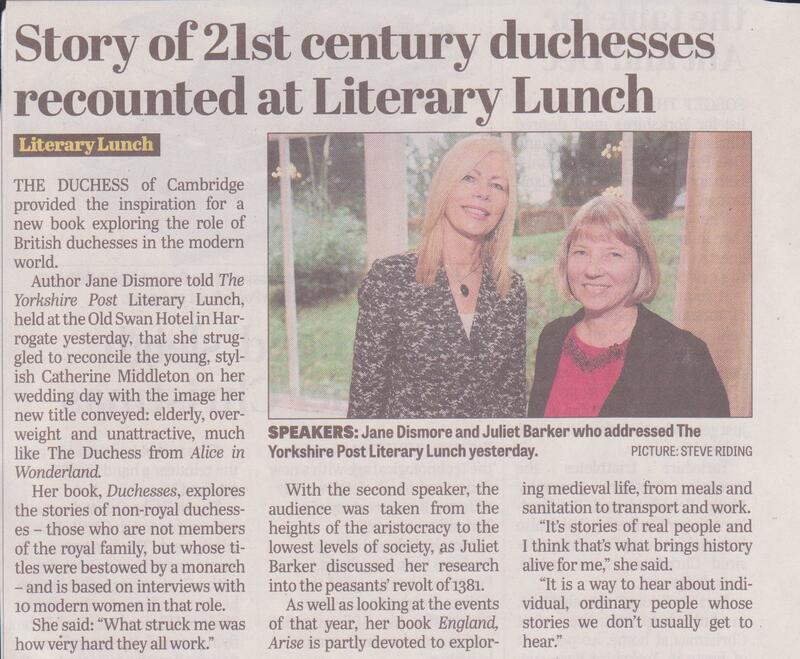 – On 25th September 2014 Jane was invited to give a talk and book signing at Waterstones, St Albans for Duchesses: Living in 21st Century Britain (below).